I made 2 - 9"x13" cakes and placed side by side. After cooling completely, I iced with buttercreme. Then I drew in Maxine. What a challenge! I can't draw...so I printed off a couple of pictures of her and free handed it. Also, a cake with these words was sent to me because that's what they wanted it to say. So I don't know who to give credit to for the words. Many more years of hiking, happiness and health! Love it! 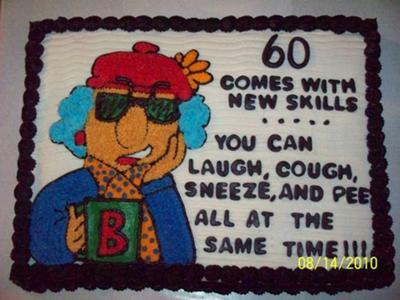 I'm going to use it for my mother in laws 60th. She is a huge Maxine fan. Exactly what I was looking for. Thanks for sharing the idea!